Wouldn't it be nice if the magical Gringotts Bank offered loans? Harry Potter fans are forking out thousands of pounds to see J.K. Rowling's new sold-out play -- 'Harry Potter and the Cursed Child' -- at the Grand Palace Theater in London. Resellers have been asking for eye-watering figures of up to £5,000 ($6,400) per ticket, which is roughly 36 times the face value. But paying thousands does not guarantee the ticket will be accepted at the theater. The terms and conditions of the show forbid reselling tickets through websites such as StubHub, Getmein and Viagogo. The theater can refuse admission if they can identify tickets that were re-sold through these unofficial channels -- and roughly 60 bookings have been refused so far. The 'Cursed Child' producers are not happy about the resales. "The secondary-ticket market is an industry-wide plague, and one which we as producers take very seriously," they said in a statement. "Our priority is to protect all our customers and [we] are doing all we can to combat this issue." 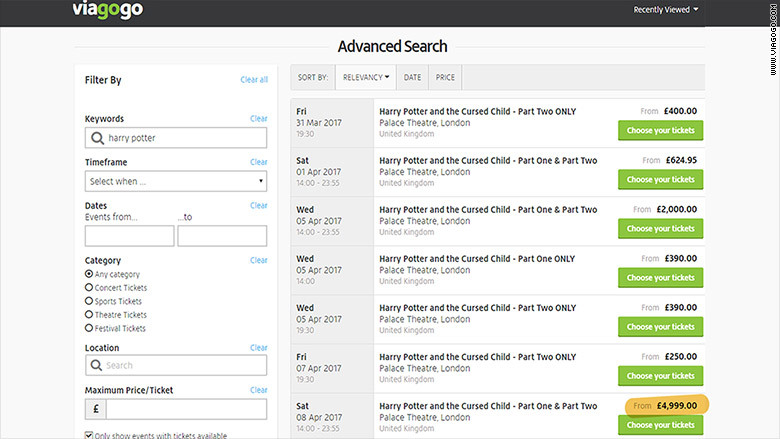 Harry Potter theatre tickets are being resold on Viagogo. Adam Webb, campaign manager for FanFair Alliance, a group that stands against online ticket touting said, "it would be hugely disappointing [if] you buy a ticket in good faith but the ticket is worth nothing when you get to the door." He said secondary ticket sellers charge huge service fees and lack transparency about the identity of the original sellers. 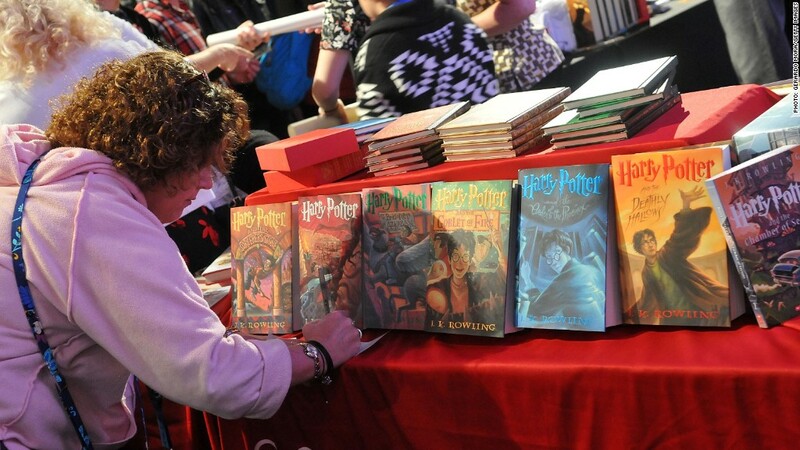 The two-part Harry Potter play recently debuted in the heart of the West End theater district in London. The first block of tickets went on sale in October 2015. Dedicated fans of the wizard saga have traveled across the world to see the performance. More tickets were released in early August, but all 250,000 of them sold out in a day. Fans who didn't buy their tickets on time can still hope for some magic. The show team said that returned and last-minute tickets are becoming available daily.